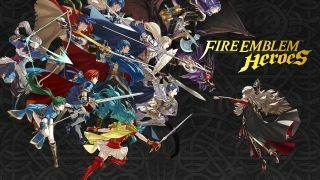 The Fire Emblem series has come to mobile with the release of Fire Emblem Heroes. But what's all this nonsense about summoning orbs and collecting feathers? The transition to iOS and Android means a few tweaks to the FE formula that even veterans might need some help getting used to. If you want to take on the armies of Princess Veronica and get the most out of your time with FE Heroes, keep reading. When you start Heroes, you'll be asked if you want to link your My Nintendo account. The answer is yes, yes you do. Doing so nets you 10 free orbs and as you'll come to discover, accruing orbs can be a grind. But if you look at the number of orbs you have and find yourself wondering, "Wait a minute, where are my My Nintendo orbs," you need to take one more step. Tap the Home button to return to the game's main screen. Then, tap the fountain in the bottom-right corner. This menu lists all the current quests and missions (more on that in a second) but is also where you can claim your My Nintendo points and spend them on in-game items. All you need to do is tap the glowing symbol to the right of the Quests & Missions banner, then tap whichever reward you would like to claim. Once you're here, don't forget to tap over to the Missions tab to collect your coins. Remember that Quests & Missions list I mentioned just a short while ago? Be sure to check that and do your best to complete the challenges set forth therein. Some of the rewards may seem miniscule at the time, but they add up to pay huge dividends down the road - letting you summon more heroes, level up the ones you already have, and more. This is the closest you'll get to the game paying you to play it. Quests aren't the only limited time offering though. Once you've progressed past a certain point in the story, you'll unlock the Special Maps option under the Battle tab. Here you'll find unique foes that will challenge your very best warriors. Beat them and you'll instantly earn that hero, or other rewards like a handful of summoning orbs. Special Maps list their difficulties, and some fights have unique win conditions, so be sure to scope these out thoroughly before you go running in. Okay, you keep seeing me talk about orbs, so what's the deal? Fire Emblem Heroes works like a gacha game - you know, those little coin-operated machines that dispense tiny collectibles. In exchange for spending summoning orbs, you receive a new hero to add to your collection. Some of these heroes will be awesome, and some will be... less so. But you'll never know ahead of time who you're gonna get. Thus, it behooves you to spend your orbs wisely. Normally, summoning a hero costs 5 summoning orbs. But you can reduce that cost by summoning multiple heroes in a row. You can summon up to five at a time, with the first summon costing 5 orbs, then 4, then 4, then 4, then 3. Altogether, that saves you 5 orbs than if you had summoned them separately. It's basically a buy four, get one free setup. It'll cost a grand total of 30 orbs, but upgrading your castle not only means a more aesthetically pleasing home screen, but a 100% boost in EXP earned. This is a very good thing to have, because summoned heroes start out at level 1, and you'll need to do a bit of training to beef them up. Fully upgrading your castle cuts the amount of time required to do so in half. Let's say you've gone and summoned Roy, hero prince and top-tier Smash Bros. character. You return to the summoning well and receive... Roy again. What the...? This is very common to mobile games, and it's all part of the grind. The first thing you'll probably notice when you summon two of the same hero is the star rating. Higher stars mean higher stats overall, and you'll want to fill out your roster with as many five-star characters as you can. These are exceptionally rare though, so you may have to make do with someone a little less powerful. That's okay, because you can still employ some strategy to make sure your team is well-suited to the fights ahead of them. First of all, check their stats. Even two heroes of the same star rating can have wildly different numbers attributed to their health, attack, defense, and so on. To check a character's stats, tap on Allies and then Edit Teams. From there, tap whoever you're curious about and take note of their numbers. Once you've figured out who's worth keeping, head back to the main Allies menu and tap Advanced Growth. Here you have the option to merge multiple heroes together, sacrificing one to provide the other power. It should go without saying that you want to give up the weaker of the two to boost the stronger. Leveling up doesn't just raise your heroes' attributes - it also grants them SP, or Skill Points. By going to the Allies menu and tapping Learn Skills, you can teach your heroes how to perform some incredible feats. Offensive heroes can suddenly smash through an armored opponent's defenses, while defensive heroes can protect their squishier allies. It's up to you which skills fit your playstyle, but just make sure that if you're spending significant time with a hero, you're giving them all the tools they need to succeed in battle. This may seem like a "duh" tip, but in Fire Emblem Heroes, characters wielding red weapons beat green weapons, green weapons beat blue weapons, and blue weapons beat red weapons - like rock, paper, scissors. There are also gray heroes who have no inherent weakness or strength compared to the color triangle heroes. You can only take four heroes into battle at once, which means you can have one of each (red, green, blue, gray) and have a well-balanced team. You'll also want to keep in mind having ranged heroes vs melee heroes, and if possible you may want to bring along a healer or buffing-type character as well. However, not all situations call for a Power Rangers-like lineup of all the game's colors. Occasionally you'll find a fight where the foes are all one color, which means it may be a good idea to go all-in with the color that trumps them. I suggest building up multiple teams and combinations, not relying on a single composition too much. It's not just your own team you'll want to get a read on. By tapping an enemy, you can see their stats, weapon, and skills, as well as where they could move. You can also see where you'll draw their attention and are vulnerable to attack by holding down on that particular enemy. This is called a "danger area." You can see the entire enemy team's danger area by tapping the button that says... well, "danger area" on it at the bottom of the screen. But if you want to know an individual fighter's range and where you can safely outmaneuver them, tap and hold said foe. Do you have any more tips for Fire Emblem Heroes? Let us know about them in the comments.